After tearing up festival stages across southern Africa, Sydney hip/producer/horn trio True Vibenation celebrate their return home with the release of new visuals for their song ‘They Shine For You’ feat. Radical Son. The tune which features on their latest album ‘ON’ (Big Village Records) is no doubt a special song for the trio as it shows a whole new side to the boys who are renowned for their upbeat tunes, catchy beats and regular inclusion of brass instruments. Track features Indigenous vocalist/songwriter Radical Son. 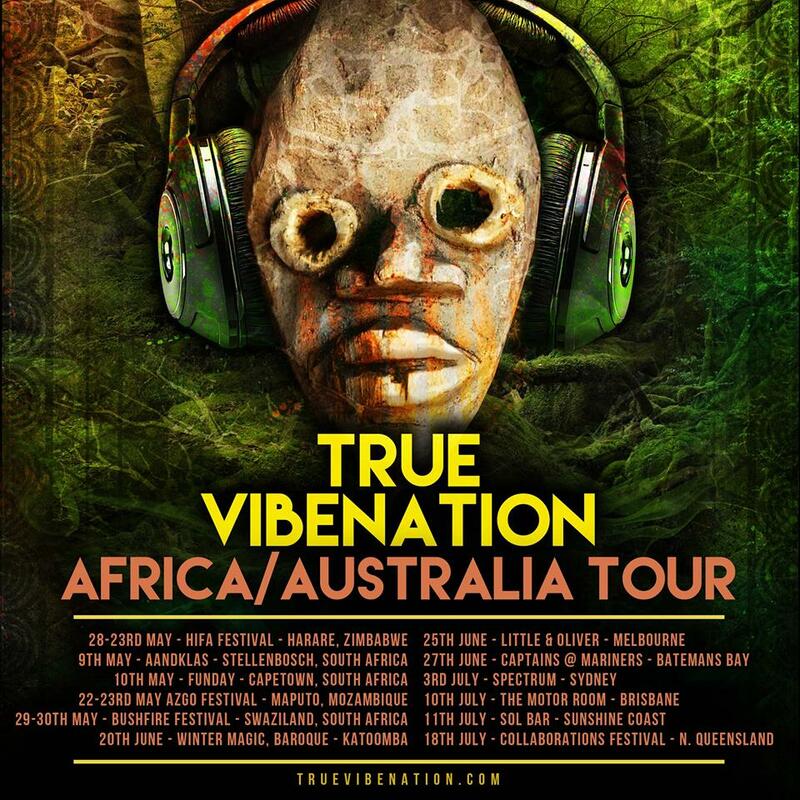 True Vibes definitely didn’t appear quietly on the African music scene with record crowds on at HIFA Festival (Zimbabwe) and a sold out headline show in Mozambique as well as main stage festival appearances in front of thousands in Swaziland alongside international legends such as Salif Keita, Les Nubians and Mi Casa. ‘They Shine For You’ is no doubt a special track for the trio as it shows a whole new side to the boys who are renowned for their upbeat tunes, catchy beats and regular inclusion of brass instruments.